One of the great privileges I had during my recent duties as a Platoon Chaplain with Run For The Wall was one evening doing an impromptu study and prayer session with some of the platoon members. 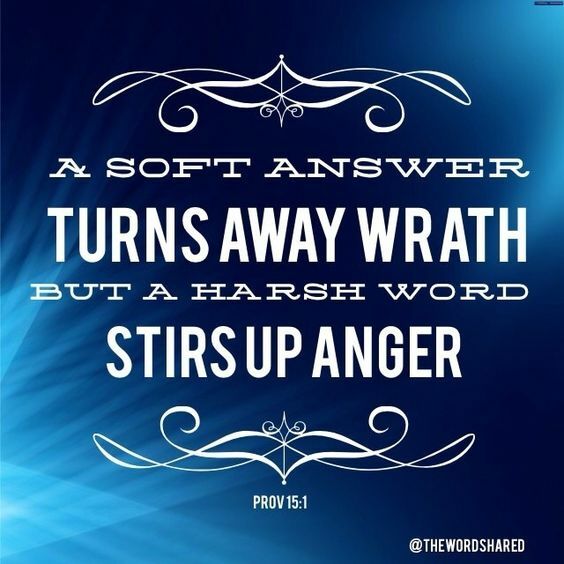 The days scripture verse happen to be Proverbs 15:1 and some had witnessed an incident of verbal confrontation earlier in the day so it was on point. What brings out harsh words from folks I asked? In our case we were eight days into a 10 day motorcycle trip across America. Everyone was tired, everyone was stressed out and everyone was worn out. While these are no excuse for being rude; they are key to our response in given situations.